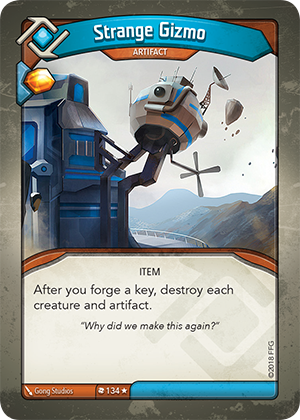 Card Text After you forge a key, destroy each creature and artifact. Does this affect only enemy creatures and artifacts? No. This is affects every creature and artifact, including your own.